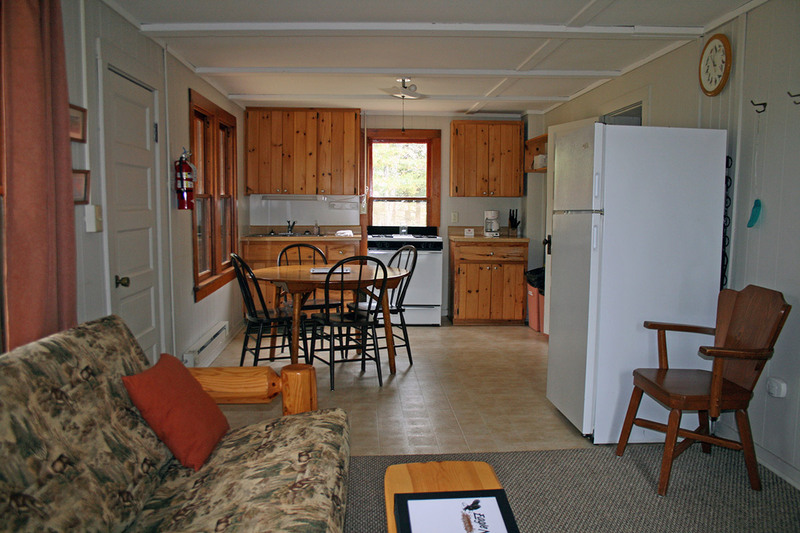 A quiet setting gives this two bedroom cabin a relaxing feel. The open living room and kitchen floor plan allows for lots of gathering room. This cabin has a lakeview, air conditioning and free Wi-Fi. There is 1 queen bed, 1 double bed, 2 twin beds, futon, 1 bath with shower. Sleeps 1-8.